When Ajatashatru (Aja) Oghash arrives in Paris, the first and only thing on his mind is to get to an Ikea. All the Indian fakir — or professional con artist — has on him is a counterfeit 100-euro note. Despite his limited resources, Aja is confident his plan to buy a bed of nails at the Swedish furniture giant will go off without a hitch. Unfortunately, it doesn’t and he finds himself trapped inside a wardrobe on the showroom floor and shipped off to England. Throughout his journey, as he learns about the lives of those he meets, Aja begins to examine his own life and question the way he has lived it — conning anyone and everyone he meets. What begins as a two-day trip quickly turns into a cross-continent adventure as Aja learns that no matter where we are from, there is that universal desire to seek out a better life for ourselves and those we love. 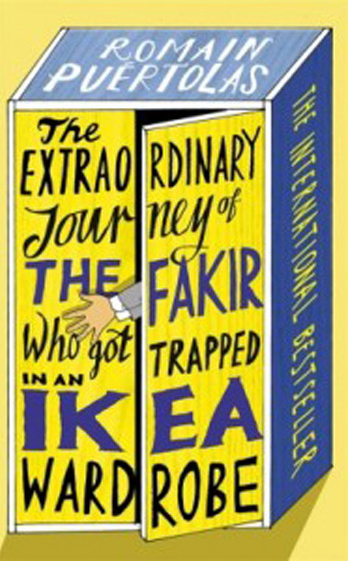 Aja’s story is filled with trickery and cases of mistaken identity and the sometimes desperate antics of a man way out of his comfort zone and will have readers smiling and chuckling to themselves as they turn the page to see what kind of trouble our fakir will get himself into next. Some of the situations Aja finds himself in are so ridiculous — but with a grain of truth — that readers will be left wondering what they would do if they were in his shoes, and if they would be able to think as quickly on their feet as him. Delilah (Deli) Pelham will be the first to admit that she is not a fan of her twin brother Paul. He has been nothing but trouble their whole lives, so when Paul goes missing, Deli is not exactly jumping to go find him. But she does because she knows it would upset her grandmother if she doesn’t at least put in a bit of effort. Her mission to find Paul takes her from Seattle to Hong Kong with her brother’s roommate Carl — a nice guy, though a bit on the dorky side. In addition, Carl’s gamer friends are utilizing their computer skills stateside to do what they can to track down Paul to make their search easier. But the moment the two land in Hong Kong, they find themselves being chased down by creepy Chinese men claiming to be detectives. All the while, Deli can’t help wondering what her brother got himself into this time and how none of what she and Carl are dealing with is worth saving her brother. 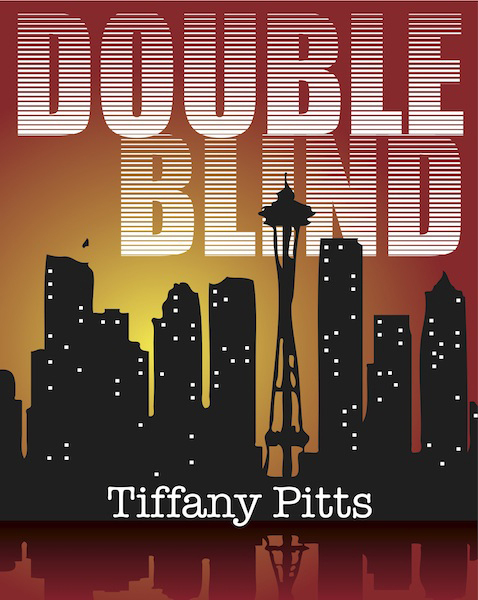 “Double Blind” is a hilarious story of how one person’s actions can trigger a situation in which everything that could go wrong, does. The story jumps from various characters’ perspectives, from Deli and Carl running from the so-called law enforcement as they continue to search for Paul, to Deli’s cat Toesy worshipping Carl’s friend Jake, who is supposed to take care of him while Deli is out of the country. Through all of these different points of views, we see how sometimes, there is much more to a person than meets the eye, but there are other times in which there is not and what you see is exactly what you get. There is also an element of science fiction in the book as Carl and his friends have discovered and developed a technology that helps humans (and cats, apparently) become virtually indestructible. It is this technology that has gotten them all in trouble as the bad guys are after it. In Juna’s family’s home, there is always a large jar of kimchi in the refrigerator. After they would finish the kimchi, Juna was sometimes able to keep the empty jars. With these jars, Juna would go to a park near her apartment building with her best friend Hector. The two would go on adventures, collecting things to put in Juna’s empty kimchi jars — from colorful rocks to small bugs. Then one day, Hector unexpectedly moves away and Juna is left by herself, wondering who she will share her adventures with now that her friend is gone. Not one to be discouraged, Juna sets out to find her friend — with the help of her special jar. She travels the world, meeting and making friends ranging from sea turtles and dolphins underwater to monkeys and sloths in the jungle. “Juna’s Jar” is a fun story about an adventurous young girl who learns friends can be found anywhere, you just have to know where to look. Bahk presents a situation most of us have dealt with at one point or another — when someone we love and care about moves away — through the lens of two children. She shows readers that while geography and distance may make it difficult for people to see each other, it does not mean they are any less important to each other. Through Bahk’s story, she also shows that the relationships children share with one another are just as important and valid as relationships among adults — an important lesson for young readers to learn. Another subtle but important theme in Juna’s story is how being different does not mean you cannot be friends. Juna is of Korean descent and Hector is Hispanic, but it’s not a big deal. In fact, the only indication of this, aside from their physical appearance, is the few Korean and Spanish words used throughout the story.